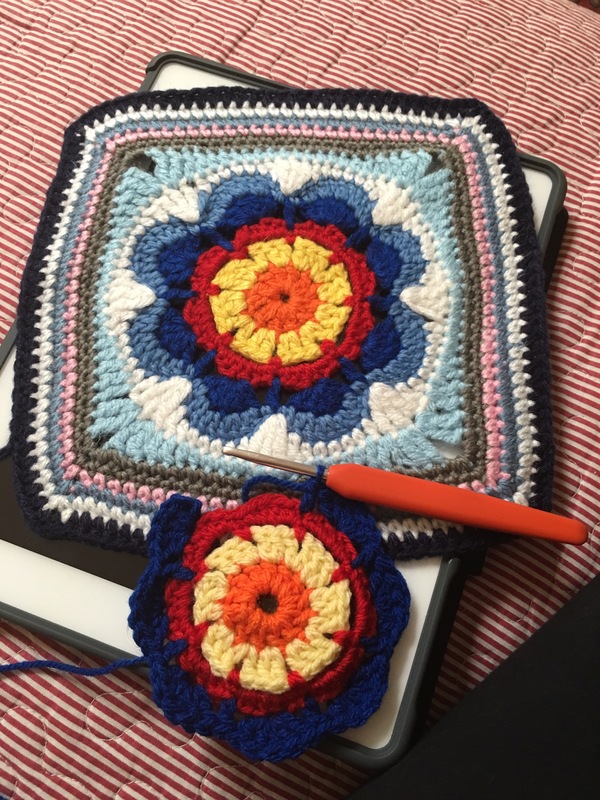 I’m addicted to crochet… I know it because I’ve just cancelled lunch with a very important man (my husband) who has returned from a lengthy work trip… Just to crochet. I’ve had a new idea for a square…. I want to use lots of colour and want to depict delft blue tones…. What do you think…. ? 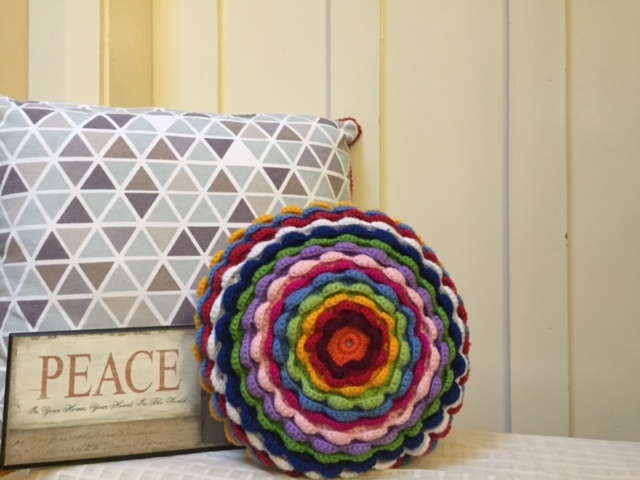 Love the contrast of the bright primary colors in the middle and the softer colors on the border. How beautiful it is, I like your colorwork. Can’t wait to see your another project ! 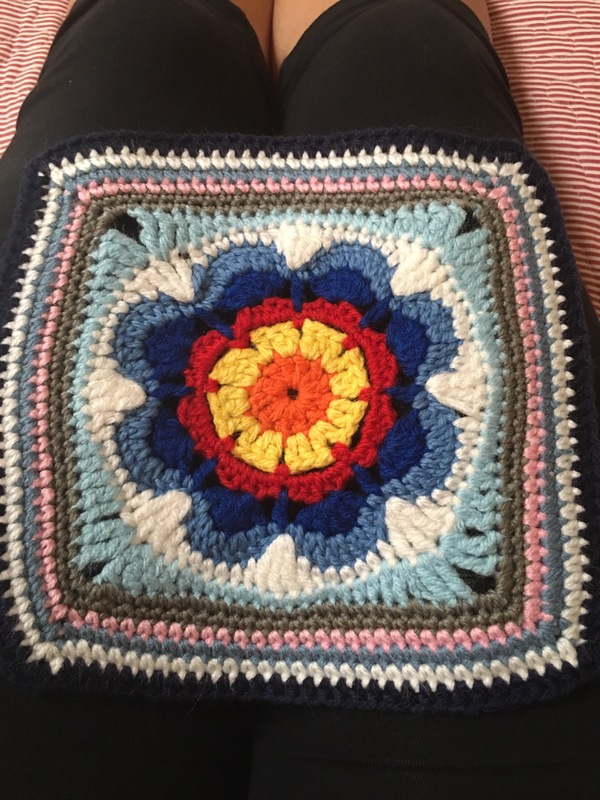 Love those patterns you have done! will try make them and looking forward for some more patterns of yours. You have excellent color choice.